Attachment theory occupies an integrative position between psychodynamic therapy and various perspectives within empirical psychology. Since therapy began, its way of thinking has been to interpret mental processes in relation to meaningful psychological objects between children and parents, partners, friends and within individual therapy. The current volume appraises how attachment interprets by summarizing the research literature in developmental psychology in order to clarify conclusions that support practice. One aim is to promote the recognition of attachment processes as they occur between self and others in the moment. When it is possible to identify attachment in this way, implied events in clients’ lives can come into shared understanding. 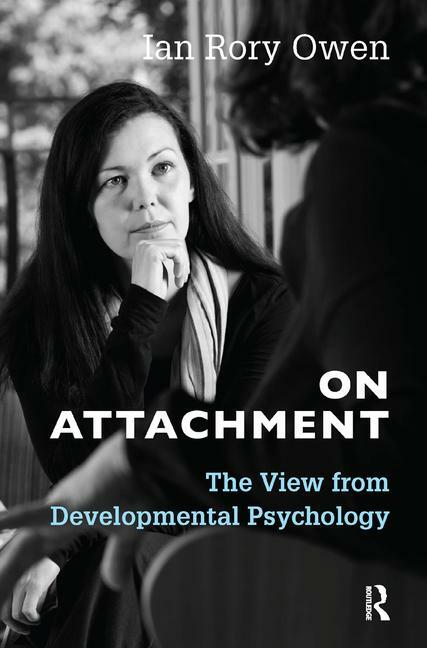 Part I considers the received wisdom about attachment, and summarizes the literature and what it means for understanding relationships and defenses as part of development. Part II considers attachment in relation to emotional regulation and provides some examples. Part III applies the clarified understanding of attachment processes to inform assessment and therapy, and more broadly, mental health work in general. The ideas of Sigmund Freud and John Bowlby are used to reinvigorate psychodynamic practice. Ian Rory Owen was born in New Zealand in 1960 and holds a first degree in engineering and a masters and PhD in counselling and psychotherapy. He has qualifications in cognitive behavioral therapy and medical anthropology. Previously he was a senior lecturer in counselling psychology at Wolverhampton University. Since 2001 he has been a principal psychotherapist in the British National Health Service in Leeds. He practices brief individual therapy with people with complex psychological needs. On Attachment is his fifth book.